We love helping our Credit Union clients grow their technical and business knowledge. 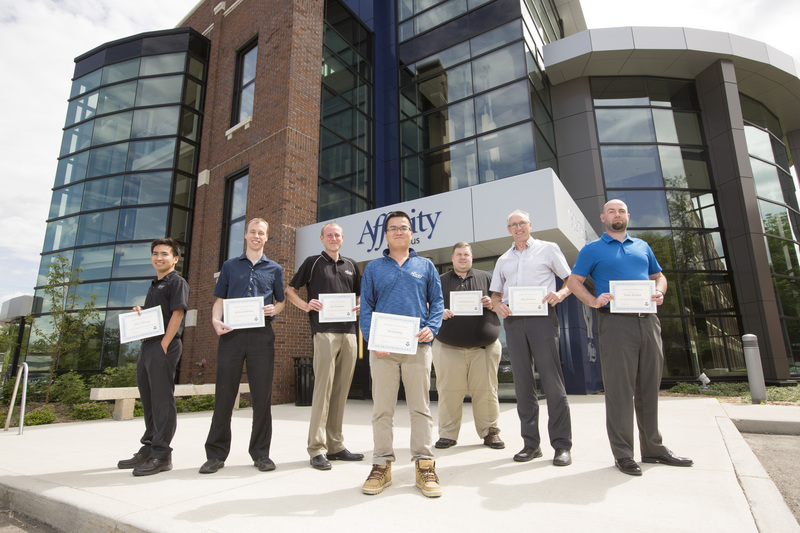 Pictured below are seven recent recipients of our Wealthview Banking Developers Kit application developer certification, all from the excellent team at Affinity Credit Union in Saskatoon. This group committed to two full weeks of classroom training and additional mentoring exercises, all culminating in the four-hour WBDK Developer Certification exam. Kudos to this dedicated team! Is your organization interested in training and/or certifying your WBDK Application developers? Contact us any time for pricing and availability.